GET THE FLIER as a PDF document or as a WORD document. CORRUPTION OUT ... DEMOCRACY IN! Featuring huge banners, street theater, humorous slogans, a walking corporation, a beleaguered billionaire, and remarks by Congressman John Sarbanes, State legislative leaders, and others. Learn about the issue on the third anniversary of the disastrous ‘Citizens United’ Supreme Court decision which allowed corporations to spend unlimited sums on elections! Democracy in our nation is in grave peril from the threat of massive amounts of secret money in politics. 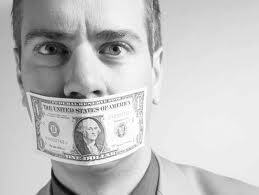 We will send a powerful message that money is not speech and corporations are not people. Sponsored, to date, by Get Money Out – Maryland, Public Citizen, Inc., Maryland Public Interest Research Group, Progressive Maryland, Common Cause Maryland, MoveOn.Org Baltimore Council, Maryland United for Peace and Justice, Progressive Democrats of America – Maryland, Maryland Nonprofits, Fund Our Communities, Prince George's Peace & Justice Coalition, Peace Action Montgomery, Generations for Peace and Democracy, Progressive Cheverly, Howard County Peace Action, Pax Christi, Chesapeake Climate Action Network, United Workers, Pledge of Resistance. Thus far, on record as supporting such an amendment, are: 125 members of Congress, 1 President, 108 members of the Maryland General Assembly, 10 other states, 350 cities and towns, and a clear majority of the public. And in Maryland 5 cities and one county thus far.